The Boyd Flotation Venus 2 replacement waterbed mattress bladder will fit inside a 6" mid fill softside waterbed mattress. You can control your level of firmness by adding more or less water. Polyester fiber layers provide stability and reduce motion. 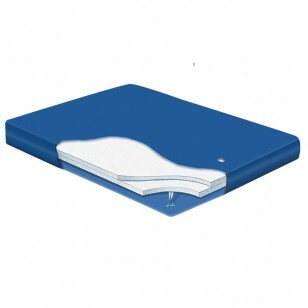 A Venus 2 replacement waterbed mattress bladder will fit inside your existing 6" mid fill softside waterbed foam cavity. Two layers of polyester fiber reduces motion.